TODAY’S BREW: BLOOD. No, not really, but we’re going for a thing here. October is a month near and dear to our hearts here at Deadly Ever after. There’s cider. Apple picking. Haunted Houses. And speaking of haunted houses, the whole month is just a lead up to HALLOWEEN. This year, we have even more to celebrate. Running Home will be available in paperback. Because The Night will be released just after Halloween. We want you to celebrate with us! 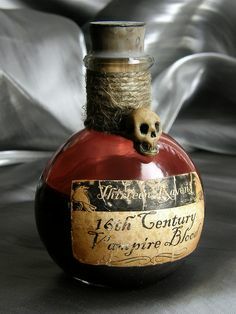 Welcome to Vamptober. #avampaday: Check every day for some hot vampire action. Flash Fiction Friday is all horror, all month long. Kristen will be talking makeup, jewelry, and fashion. Meet the characters of Because The Night! Character profiles each week. Giveaways! Win Because The Night and Running Home. Yes, really. But we’re going to make it fun. No rafflecopter up in this hizzy. Kristen will be giving you the sauciest, scariest and longest lasting makeup tips for the big day, and folks, she’s a goddamn professional. She knows this. There will be jewelry to spare, too, because we loves us some creepy jewelry. Julie will give you her unsolicited and unwelcome at times, opinions on American Horror Story starting October 5th, Dracula at the end of the month, and Halloween Wars on the Food Network. 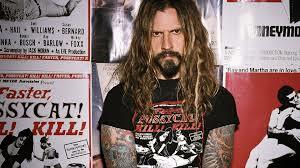 Because pumpkin carving is a thing, and Rob Zombie was there last year and if that happens again, you need to know. Flash Fiction Fridays will rock it with handpicked horror authors, cooking up some craziness that I cannot wait for you all to see. AND FOR HALLOWEEN THE UNDEAD DUO WILL COLLABORATE ON A SPECIAL FLASH FICTION BIT, FEATURING THE MEETING OF CHARACTERS FROM BOTH RUNNING HOME AND BECAUSE THE NIGHT! Also, we have a surprise to tell you about coming up soon! A surprise that may or may not have something to do with some of our favorite writers and bloggers, and let me just tell you. You won’t be disappointed. Follow #VVamptober and #AVampADay on Twitter for updates, probably far too often. Halloween approaches and we plan on giving you treats, so be ready for the Undead to show you all the tricks up our sleeves.